Preparation for the upcoming lactation begins during the dry period and using a high quality mineral in the dry cow ration is important. 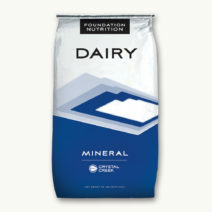 A highly fortified, well balanced dry cow ration will help cows transition into lactation with fewer health problems such as milk fever, ketosis, metritis, poor production and poor foot health. 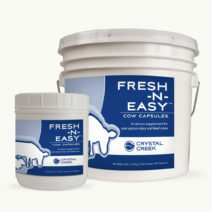 Crystal Creek’s® Dry Cow Mineral provides exceptional nutritional support and economic value.